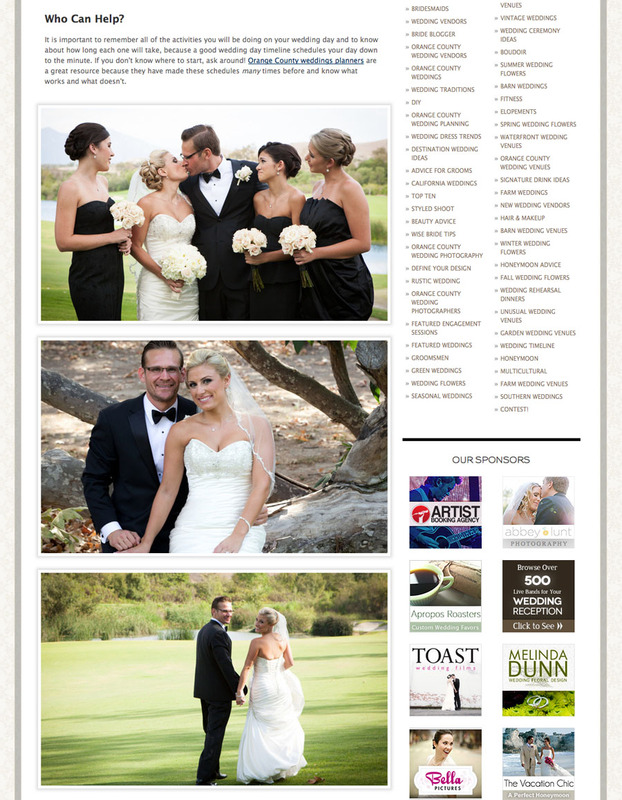 Some of our wedding photos were added to this very useful article. Orange County weddings are always full of beauty and excitement, and we’re pretty sure you are going to want to soak in every single minute of your big day. One of the best ways to ensure you entire day flows smoothly from one event to the next is to schedule out every detail to your day and stick to it. Whether you are a Type A bride-to-be or the most relaxed person on planet Earth, creating (and sticking to) a wedding day timeline is sure to keep your day flowing from one hour to the next with little added stress in between. 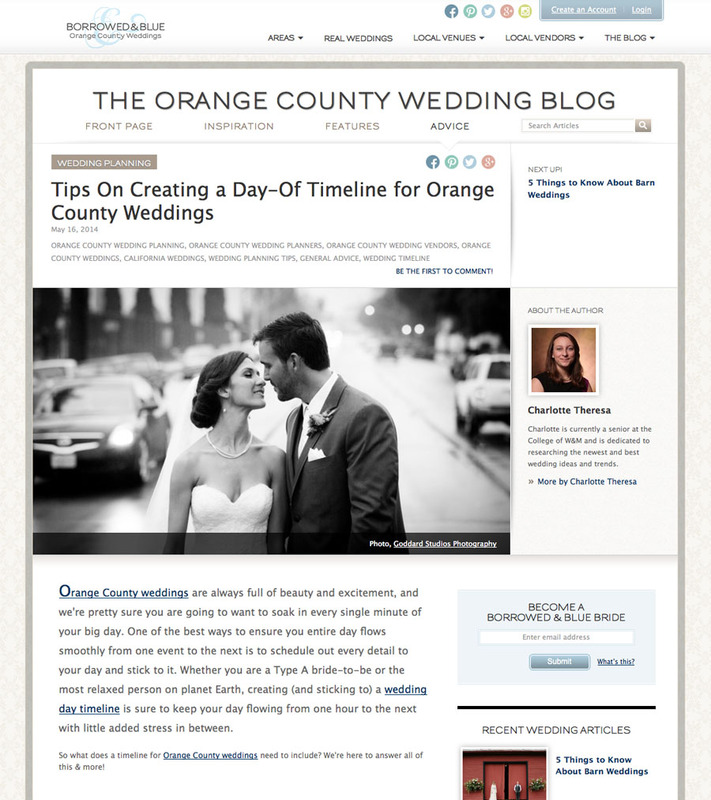 So what does a timeline for Orange County weddings need to include? We’re here to answer all of this & more! 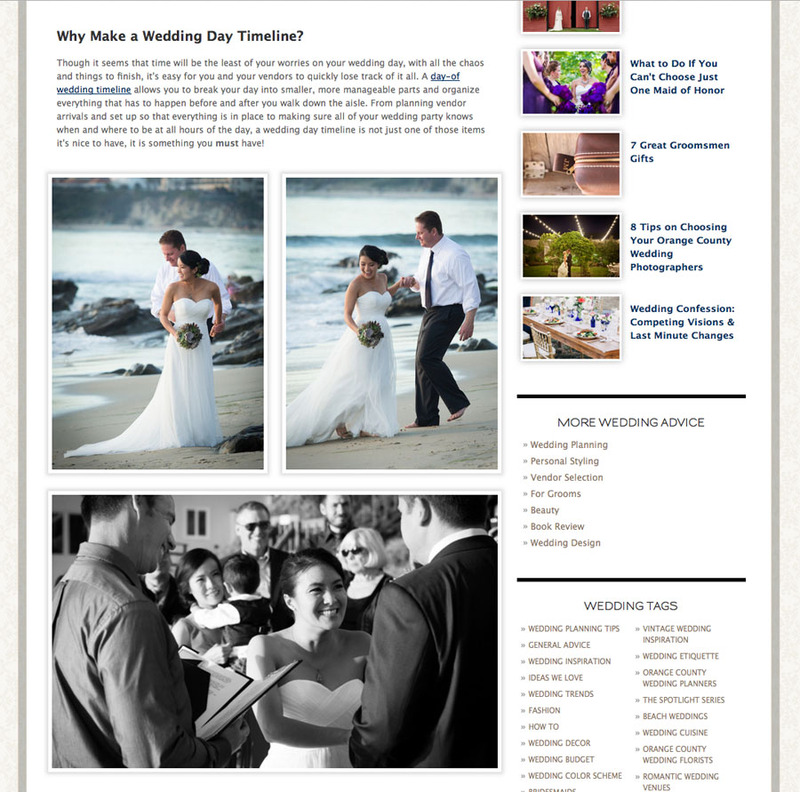 Why Make a Wedding Day Timeline? Though it seems that time will be the least of your worries on your wedding day, with all the chaos and things to finish, it’s easy for you and your vendors to quickly lose track of it all. A day-of wedding timeline allows you to break your day into smaller, more manageable parts and organize everything that has to happen before and after you walk down the aisle. From planning vendor arrivals and set up so that everything is in place to making sure all of your wedding party knows when and where to be at all hours of the day, a wedding day timeline is not just one of those items it’s nice to have, it is something you must have! It is important to remember all of the activities you will be doing on your wedding day and to know about how long each one will take, because a good wedding day timeline schedules your day down to the minute. If you don’t know where to start, ask around! Orange County weddings planners are a great resource because they have made these schedules many times before and know what works and what doesn’t. What Should You Schedule For? Some details on your wedding day are more important to schedule time for than others, however, these elements are going to vary from bride to bride. If you know without a doubt that you’ll have to grab a latte and a bagel at the local coffee shop before the day begins or that you need 15 minutes right before the ceremony alone or with your parents, schedule it in! 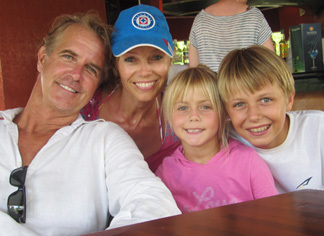 Remember that there are parts of your day that depend on factors you can’t control, such as travel time. If it takes you 30 minutes to get from your ceremony site to your reception hall, schedule 45, that way you are less likely to get behind due to traffic if you already have this cushion time built in. Mikii Rathmann of Neon Carrot Events says that the number one thing brides forget to allocate some time for is bustling their dress. It could take up to ten minutes for your maid of honor or relative to bustle your gown before your grand entrance, so be sure to take this into consideration as you put together your wedding day timeline. Also make sure to allow 10-15 minutes for arranging your wedding party before walking down the aisle to ensure your celebration starts on time. There’s nothing worse than making a schedule for your big shindig and getting behind in the early stages of your day, delaying all the other events, and possibly resulting in some vendor overtime charges. So with this knowledge in hand, we’re giving you a very basic outline as to what your own wedding day timeline will look like. The most important thing to remember is to make it work for you! A schedule is completely useless if it’s going to stress you out all day running from one place to another to stay on track, so consider what works best for you and your fiancé and tell your Orange County wedding planners so you can find a balance that works for you and your vendors. 12:00 p.m. Begin some pampering by your hair and makeup artist with a mimosa in hand. 1:30 p.m. Grab a light lunch of yummy snacks with your bridesmaids! 2:00 p.m. Most of your vendors should have arrived to begin setting up. 2:30 p.m. Slip into your gorgeous gown, and prepare for oohs and ahhs. 3:00 p.m. Go off to see your soon-to-be-spouse during your first look, if you’re planning on having one. 3:15 p.m. Start taking some of those must-have shots. 4:00 p.m. Your ceremony begins. Walk down the aisle with all eyes on you. 4:45 p.m. Cocktail hour begins for your guests as you finish up all your portraits with your photographer. 6:00 p.m. Sit down and enjoy that delicious dinner you’ve been dreaming of for months. 7:00 p.m. First dance, cake cutting, bouquet toss. Yes, schedule all these in. 8: 00 p.m. Keep on dancing with your friends and family by your side. 10:00 p.m. Make your grand exit into the night and head off for your honeymoon. Congratulations!